No two smiles are exactly the same. As a result, Dr. Keith Ogawa customizes treatment to achieve your individual goals. 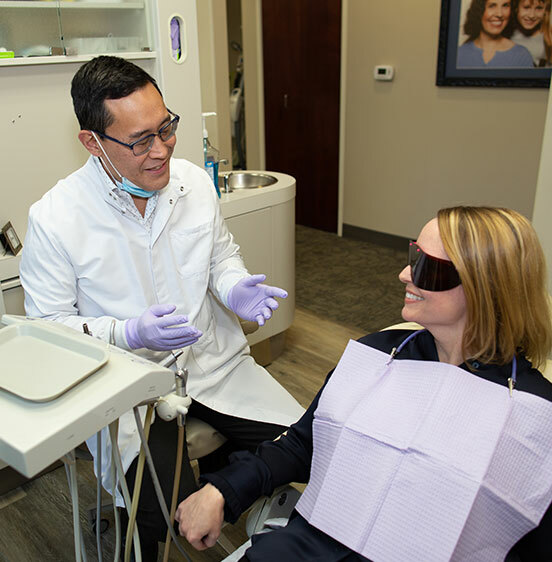 Dr. Ogawa sees only one patient at a time, enabling him to explore all life-changing options through cosmetic dentistry. For your consultation, call Contemporary Dental Health at (503) 773-6704. Dr. Ogawa looks forward to finding the best solution to enhance your smile. Dr. Ogawa received advanced training at LVI, the most prestigious post-graduate institute for dentists in the world. Our caring team uses advanced technology and a personal touch so you can feel comfortable at every office visit. Time is the secret ingredient to the best results, enabling Dr. Ogawa to plan your treatment to the nearest .01 mm.